Christmas is a time of tradition, celebration and inspiration. What better expression of this than attending the St. James Dundas annual Holiday House Tour? Since 1975 thousands of guests have been welcomed into 175 homes of distinction in Dundas, each festooned in seasonal splendour. This popular fundraiser was the brain child of church secretary-treasurer Irene Mitchinson, who believed such an event, showcasing the historic dwellings of Old Dundas, would be fun for visitors and homeowners alike. Throughout its evolution, this has proved to be true. Each year, tea and Christmas cake has been formally served in the church parlour. In subsequent years Dickens Lane, where artisans sell their hand crafted items, was established, and Santa’s Kitchen provides baked goods and preserves for sale. In the calmness of the sanctuary, visitors enjoy the music and display of original art. During this 41st year, visitors will experience the flavour of the past in three of the five stunning homes. The first is a stone home built above Spencer Creek in 1840 with deep window sills and original glass. The second, constructed in 1884, features a raised fireplace in the kitchen and a portrait of Robbie Burns in the living room. The third is a compact, comfortable cottage built in 1884 and rented to labourers who lived nearby, and beautifully renovated in 2014. Visitors with a taste for modern architecture will appreciate an elegant dwelling built in 2000, since renovated, featuring a gallery overlooking the living area, a pub on the lower level and an outdoor kitchen. The fifth is an open concept home, with an indoor pool, built in 1997 on a site overlooking a picturesque ravine. An added attraction this year is the red brick building constructed in the 1860s and used as a foundry. 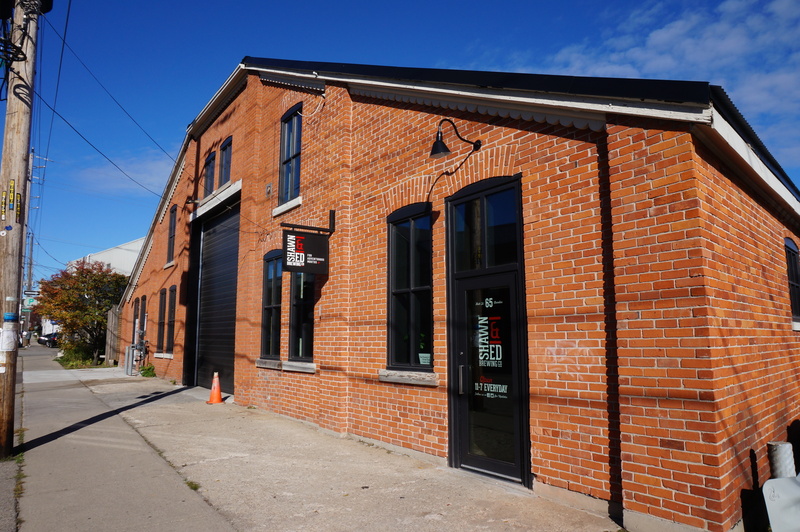 It has recently been meticulously converted to the Shawn and Ed Brewing Company. It is only with the generous contribution and support of the homeowners, plus assistance from local florists and merchants, that these memorable Holiday House Tour can happen. Proceeds support the ministries within and beyond the parish of St. James Dundas. The Holiday House Tour takes place on December 3. For information and tickets visit their website. Anne Washington is a member of St. James Holiday House Tour Committee.